Wood furniture can add a very rustic and inviting feeling to the rooms of your house. However, for wood furniture to last and stay in its attractive condition, it must be cared for. 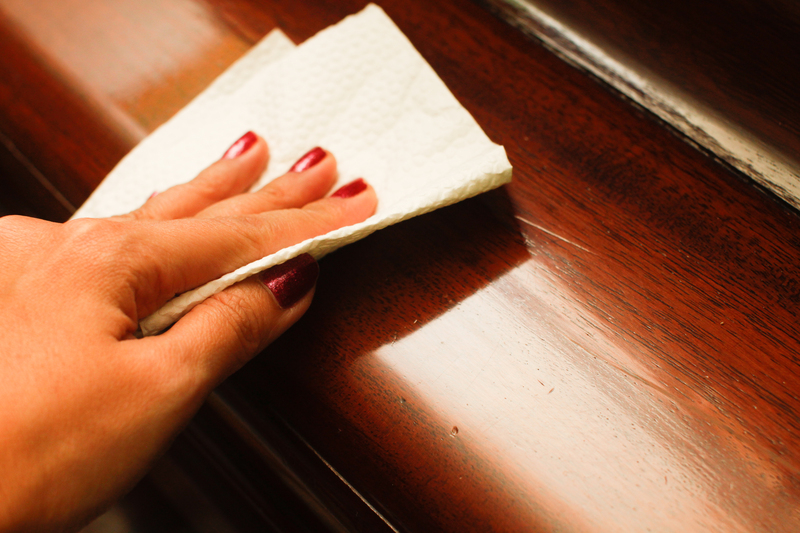 Below are five tips you can use when cleaning real wood furniture. If your wood already has a nice finish, use simple soap and water to clean it. Warm water and dish soap will likely do the trick. Water will not hurt finished wood unless you absolutely soak it. Use a soft cloth or a paper towel to wipe off the dirt and then use another to dry it off. If you want to give your authentic wood furniture a nice glossy shine, all you have to do is apply some wax. Purchase some wax specifically designed for your kind of wood furniture from your local home improvement store. Applying the wax will give the wood a layer of protection from things like stains and dust. It will also create an attractive glossy sheen. Unfortunately, you cannot care for painted wood in the same way. Certain waxes and polishes when applied to paint will damage it. You may end up with the color being ruined. If wax is used, you should only apply hard paste wax once a year. However, you are better off sticking to only dusting and vacuuming the wood to clean it. A mildly damp sponge can remove smudges safely. Some woods are only finished with a layer of oil that provides a nice soft glow. If this is the case, all you have to do to take care of it is apply furniture oil you can find in any home improvement store. A Calgary custom furniture designer advises against applying wax to oiled wood furniture, as this will block the pores in the wood and cause it to dry out. Only use wax on un-oiled furniture—all other pieces should be oiled for cleaning. Overall, do your research so you don’t damage the wood. Each variety of wood furniture needs to be cared for differently. There is no one fits all approach to cleaning wood furniture.